One of Madeline Cullen's happiest childhood memories is of working with her Aunt Maddie in the quaint and cozy Printed Letter Bookshop. But by the time Madeline inherits the shop nearly twenty years later, family troubles and her own bitter losses have hardened Madeline's heart toward her once-treasured aunt-and the now struggling bookshop left in her care. While Madeline intends to sell the shop as quickly as possible, the Printed Letter's two employees have other ideas. Reeling from a recent divorce, Janet finds sanctuary within the books and within the decadent window displays she creates. Claire, though quieter than the acerbic Janet, feels equally drawn to the daily rhythms of the shop and its loyal clientele, finding a renewed purpose within its walls. When Madeline's professional life falls apart, and a handsome gardener upends all her preconceived notions, she questions her plans and her heart. Has she been too quick to dismiss her aunt's beloved shop? And even if she has, the women's best combined efforts may be too little, too late. 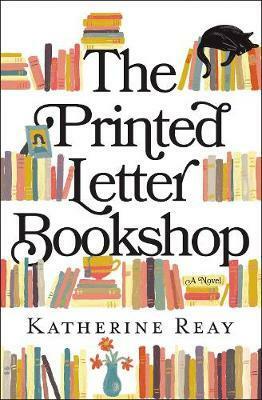 Katherine Reay is the national bestselling and award-winning author of Dear Mr. Knightley, Lizzy and Jane, The Bronte Plot, A Portrait of Emily Price, The Austen Escape, and The Printed Letter Bookshop. All Katherine's novels are contemporary stories with a bit of classical flair. Katherine holds a BA and MS from Northwestern University, graduating Phi Beta Kappa, and isa wife, mother, former marketer, and avid chocolate consumer. After living all across the country and a few stops in Europe, Katherine now happily resides outside Chicago, IL. You can meet her at www.katherinereay.com; Facebook: KatherineReayBooks; Twitter: @katherine_reay; or Instagram: @katherinereay.